Transforming Your Business Isn't About Doing A Million Different Things. It's About Finding ONE BIG THING And Then Leveraging That. Frank Kern has been advising entrepreneurs like you all day, every day, to do just that since 1999. This is his podcast. More at KernBranding.com. Every wondered how to write ads that catch peoples attention? Can you guess what Frank talks about in this episode? Thats right, advertising! What would Natalia have done differently to start her brand in modeling? Find out. Yet again, Frank figures out another way to help you boost your media presence. Do you get lost in translation when trying to communicate with others? Get some inside tips on how the Kern family stays focused even throughout all their chaos! How do you get your target market to buy from you? What does a tattoo artist have to do with a marketing plan? Listen in and hear another story about one of Franks many interesting clients. I got started in marketing because I'm SUPER INTROVERTED. In fact, the "thing" that drove me to learn how to market was the constant REJECTION I faced as a door-to-door credit card machine salesman. One day, after being thrown out of a restaurant I was trying to sell to, I went to my computer and did a search for "how to sell credit card machines online." That's when I saw my first ad for an Internet Marketing course. It was October of 1999 and I never looked back. Whether you're an introvert like me and want to use marketing to have customers calling YOU ...or an extrovert like my man Grant and want to use marketing to generate leads you can call, I CAN HELP YOU. Why should we try and sell retail stuff on our social media? The DEATH of “Niche Marketing”? Is Niche marketing seriously dead? Find out from Frank, and maybe even get his help managing your company. Enjoy Frank's Traffic and Conversion Presentation 2019 and learn how you can grow your net worth just by using social media (and intent-based branding). Get an update from Natalia and hear a little bit about whats going on in the background of KernBranding. This is the story of Rob. He sells furniture out of a good old fashioned STORE right there in Naples, Fla.
Technically speaking, that's not boring at all ..but a "regular" business isn't something you really see "internet people" talking about much. Anyway, here's how we're winning for him. If you want us to win for YOU, go to KernBranding.com. Do you know what the difference is? Listen in as Natalia discusses the differences and one major thing they used to help scale their business. Continuous Success Is Never An Accident! Join Natalia and Frank as they give some great advice on how to achieve success. Are You Spending Too Much on Ads? 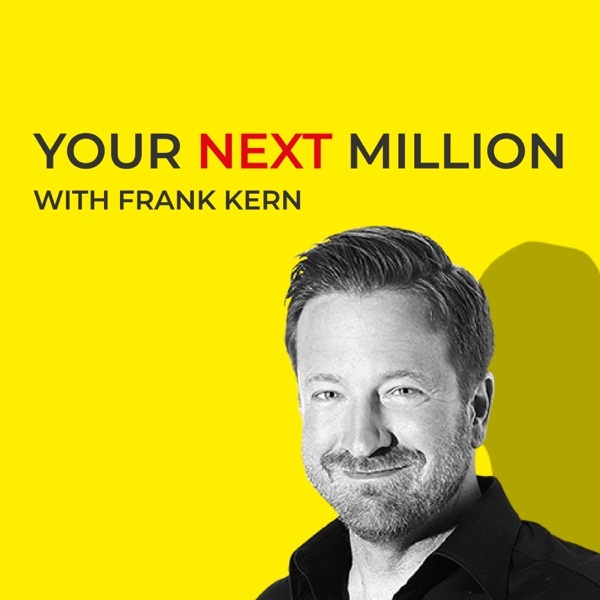 Grant interviews Frank Kern, one of the most sought after direct response internet marketing consultants on the planet and talks with him about his approach to online advertising – something he calls intent-based branding. Mr. Kern created Behavioral Dynamic Response which is an automated marketing method that speeds up the sales cycle by customizing marketing messages based on a prospect’s behavior. Get more information on one of Franks newest clients, and learn some tips for your own company.